This butterfly was flying free and was a beautiful sight. 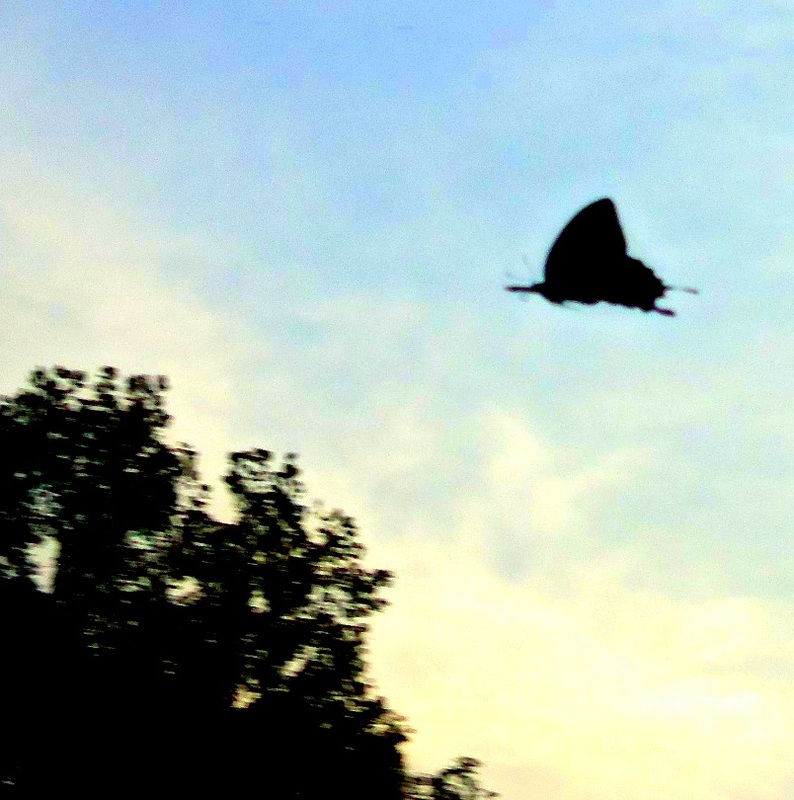 The only thing that ‘captured’ this beautiful butterfly at sunset was my camera lens. I loved watching it and felt free as well as I watched it fly off into the wide open sky.